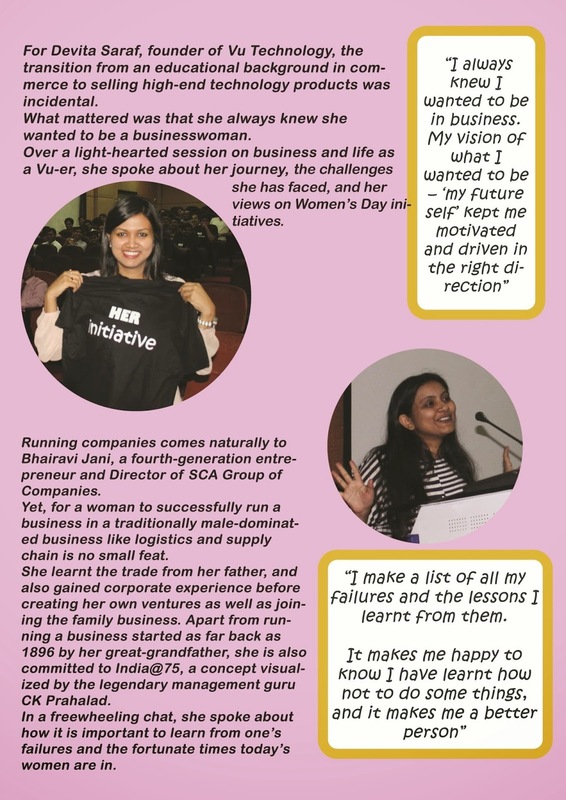 8th March saw a flurry of activity on the campus at Sydenham Institute of Management Studies, Research and Entrepreneurship Education (SIMSREE). 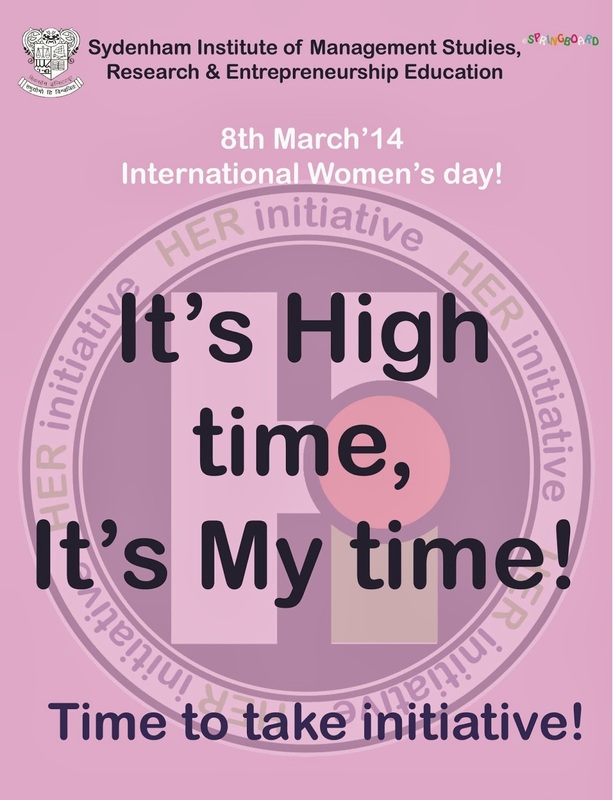 It had to be, after all it was the 8th Of March’14- Launch of the movement ‘HER initiative’ (Hi)! ‘Hi’ says that women are already empowered & now it’s time to take initiative! Women could be a true driving force, if only they could take those initiatives, howsoever small! The audience consisted of a mix of students from different colleges and streams - all of whom who were very curious to know about ‘Hi’. 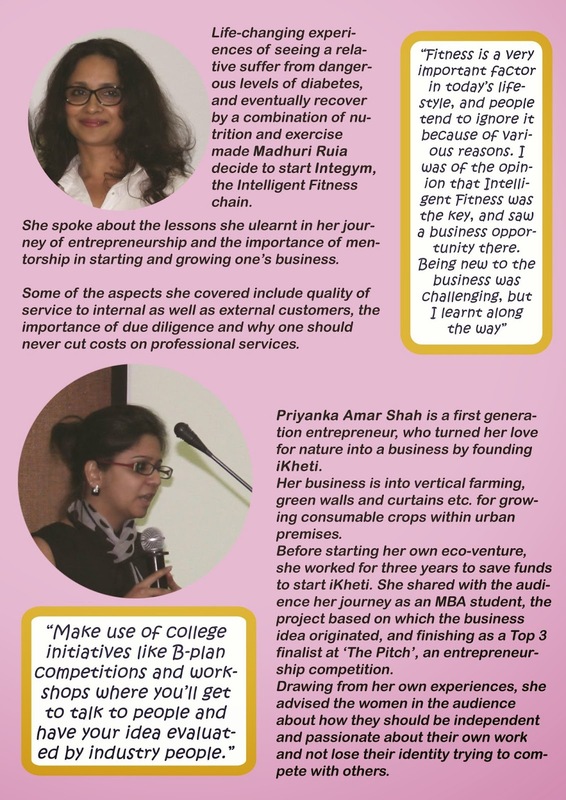 It focused on creating a platform where women students could get inspired & imbibe the initiative-taking qualities of esteemed women entrepreneurs! 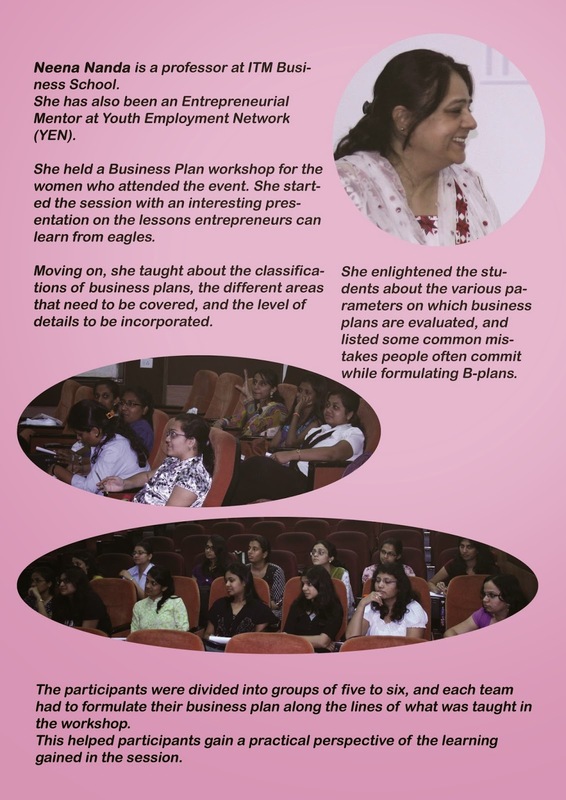 This was followed by a business-plan workshop to train students and aspiring entrepreneurs with specific techniques and tools to create a road map for actualizing their personal business idea. 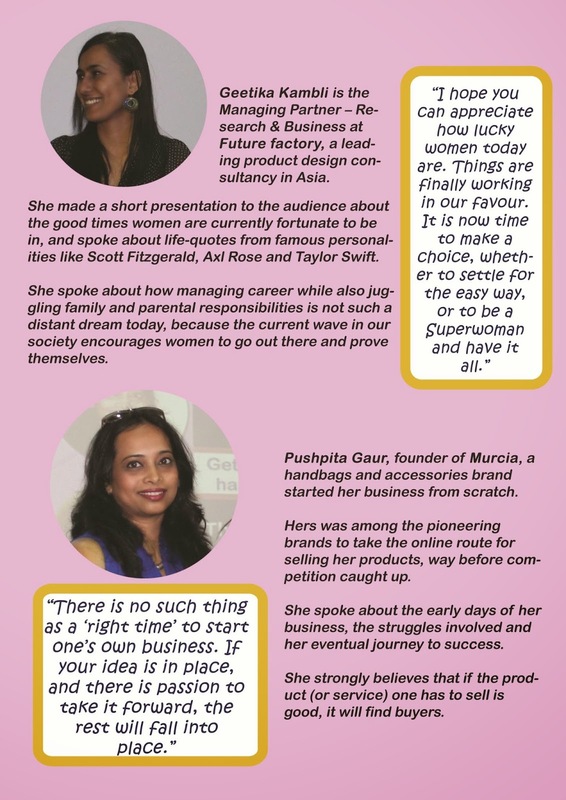 The women speakers who graciously agreed to address the audience were all fabulous achievers in their own right and in their own fields! The initiatives spoken of in their respective fields helped the students gain perspective of the manner in which one can take the proverbial plunge into entrepreneurship. Overall, the audience absolutely loved the concept & supported the movement. Our speakers also lauded the initiative and wished it the best of luck. 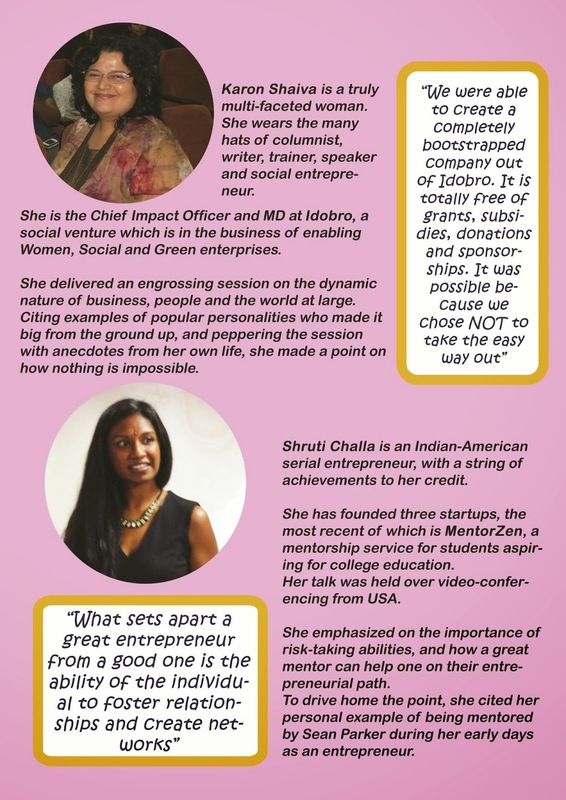 ‘Hi’ now aims to become a full-fledged movement & become an organization which helps women, especially students, by training and mentoring them with the help of accomplished women entrepreneurs/intrapreneurs. All this whilst trying to create a brand out of ‘HER initiative’ & utilize the same in fashion apparel; the revenue of which would be used to self-sustain and spread further the movement of ‘Hi’.